NEWLY PRICED AS OF 1/17/19. Rare find, beautiful well maintained and cared for home on 1.6 +/- ac. Minutes away from the Edna Valley Wine Country. This property has never before been on the market. Approximately 2186+/- s.f. with 4 bedrooms and 2 1/2 baths. New exterior paint. Double front door titled entry, with step down living room and formal dining area. Back to back fireplaces in living and family rooms. From the family room and kitchen area are sliding glass doors leading to patio area and back yard. Large over sized garage, over 700 sq. ft. The home is elevated over the garage. The stairway to the garage is from the inside utility room as shown in photo #37. There is RV parking with it's own electrical service. Directly across the street, is a recorded conservation easement that is part of the Greenbelt Protection Program, which protects against development other than agriculture. According to SLO County, land use will permit horses, a second residence, barn and detached shop to name a few. This must be verified by prospective buyer. 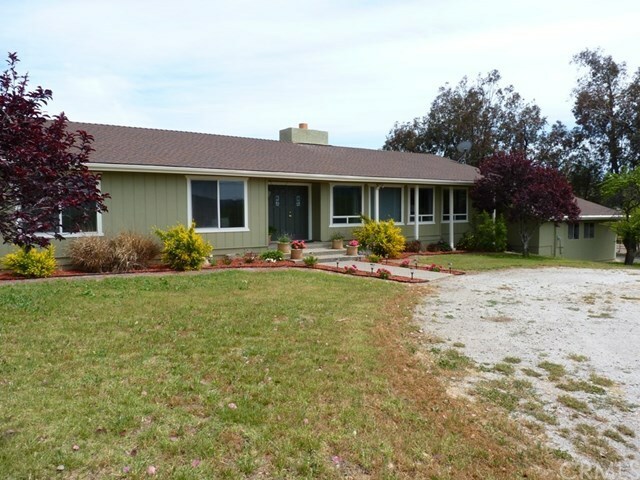 This is a wonderful property, plenty of room to raise children or horses and livestock. Directions: From Buckley Rd. turn South on Davenport Creek Rd.